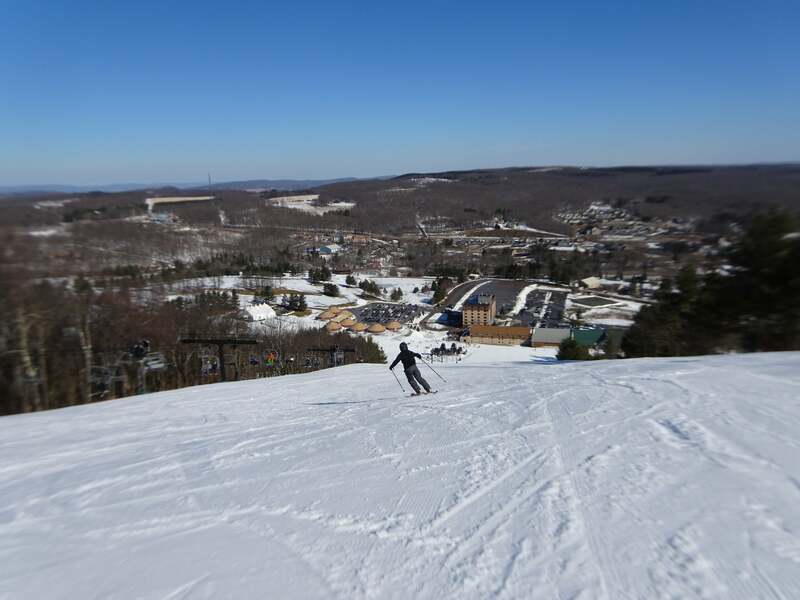 I have skied at almost all the Southeastern resorts, but my first experience skiing in our region was in Maryland when I was around 10 years old. That was on a family vacation in the summer with my uncle who grew up in Oakland, so the skiing was behind a boat on Deep Creek Lake; perhaps that explains my preference for wide powder skis to this day no matter the location or conditions. As a boy from the Texas panhandle this was a lot more water and infinitely more trees than I was accustomed to seeing. 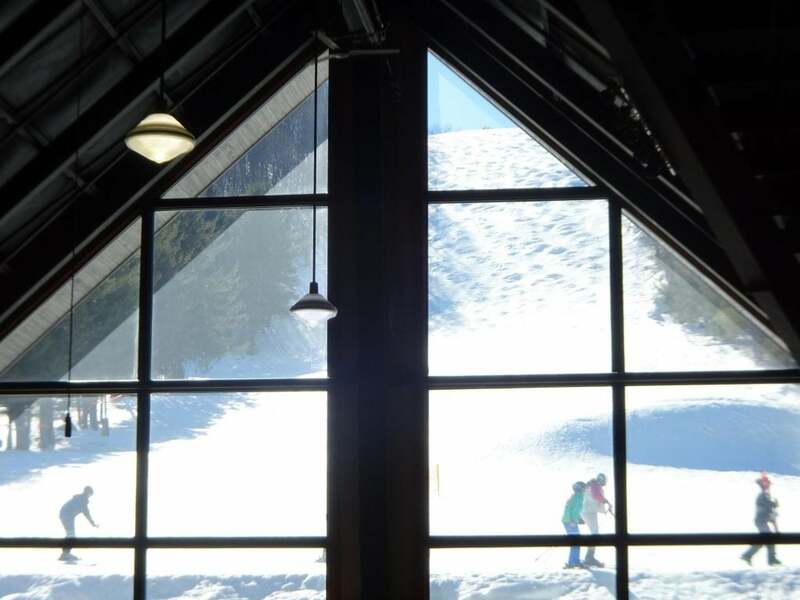 Four decades later, I found myself there in the winter, looking down from the top of Wisp Resort with the lake now frozen and white beneath me. 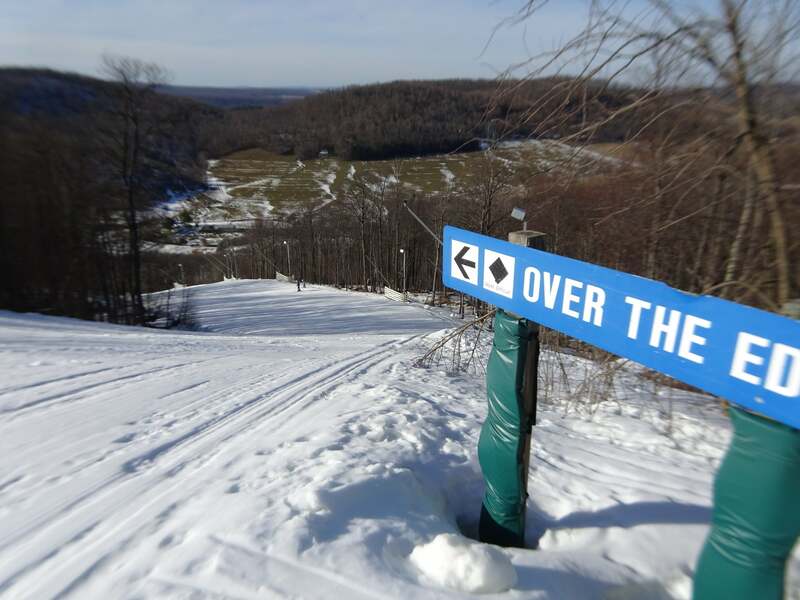 Wisp opened skiing operations with a pickup powered tow rope in the winter of 1955, after others had started stringing up cables and ropes in the Canaan Valley an hour to the south. An hour now, on roads in the 1950’s, my guess is the drive might have been a little more arduous crossing over Mt. Storm. The skiing planted on the north face of Marsh Hill took hold. 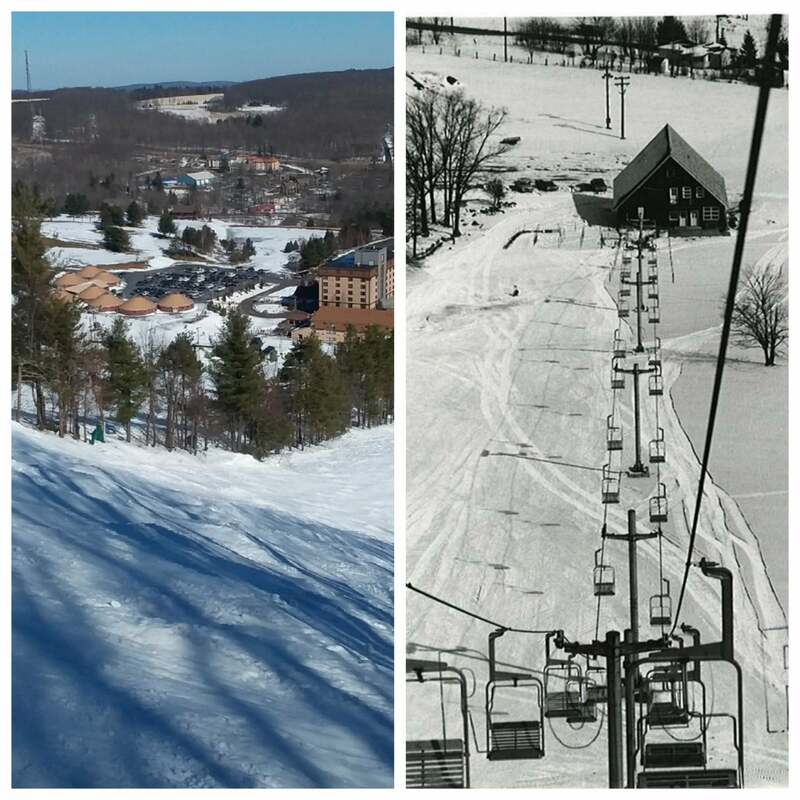 That first rope tow still served the same slope that my uncle skied along with a platter lift; and it was the first ski area in the Southeast and mid-Atlantic to light a slope at night; and arguably, it was one of the first to make serious attempts at snowmaking anywhere. 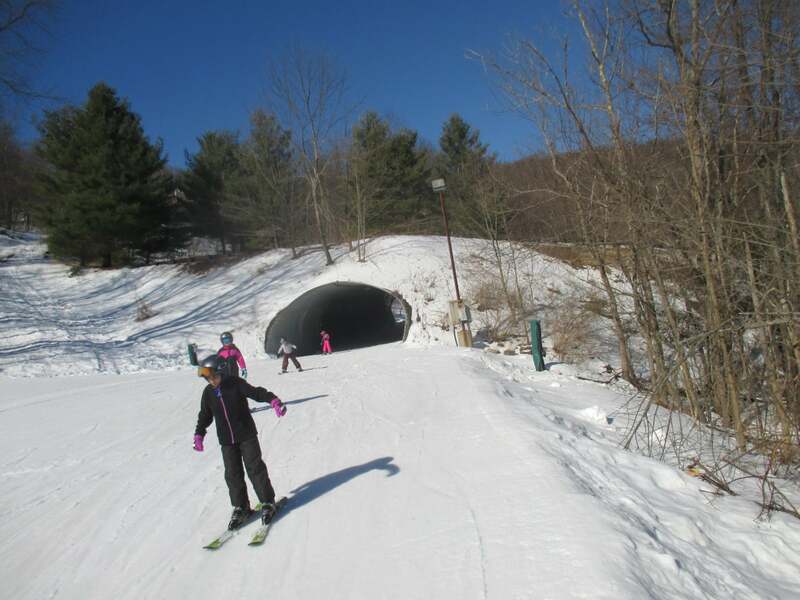 Matt Laws here on SkiSoutheast had a very good piece about the history of Wisp and I loved this picture, which I place by my own from last weekend. And so here we are today, the same core slope served now by two side by side lifts that join a network of five other chair lifts spreading 180 degrees around the mountain. 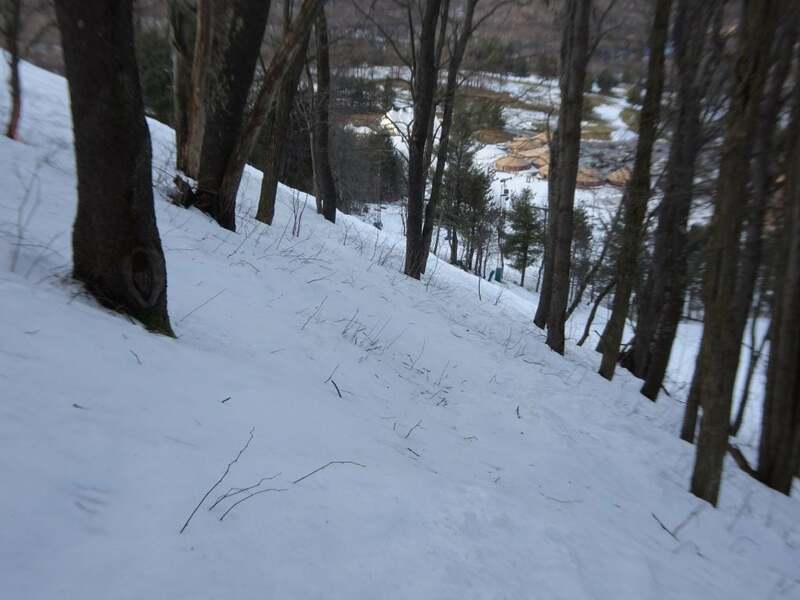 The current Wisp trail map does not do the mountain justice. Like most trail maps it takes a flat perspective for the sake of clarity; so, it appears that everything is facing the front. 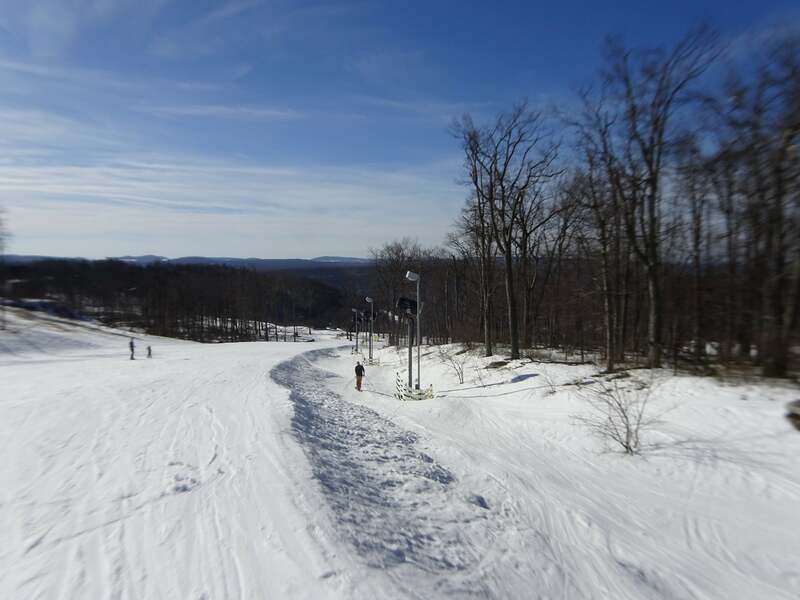 But Wisp has 27 trails, circling two-thirds the mountain; and they are not titled “upper” and “lower,” which is all too often used to pad Southeastern resorts’ trail counts. 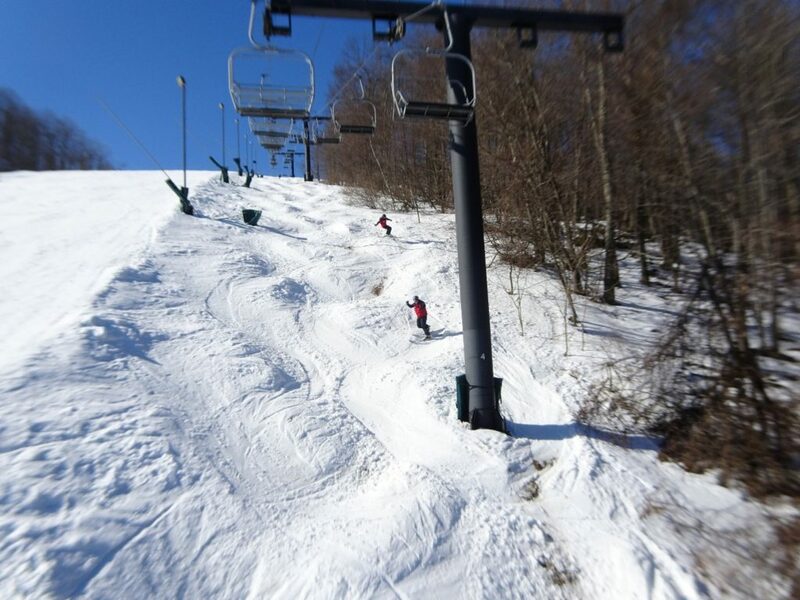 Wisp sports 700 vertical feet, about average for the Southeast, but has a multitude of different fall lines and three distinct lift areas. Standing at the top they all come together providing choices to the left, right or straight ahead. The East Ridge has two lifts serving mostly blue terrain, a great option to ski away from the main area and just make mellow laps. It’s a perfect place to spread out especially on crowded days. The terrain is not as challenging or steep as the front facing runs. Am I tipping my hand? I love the front of Wisp! There are frequent conversations concerning the steepest runs in the Southeast. The science is hard to come by, but Squirrel Cage and especially the Face are certainly as steep as any and given the sustained 500 vertical feet, amongst the longest real black diamond runs in the Southeast. 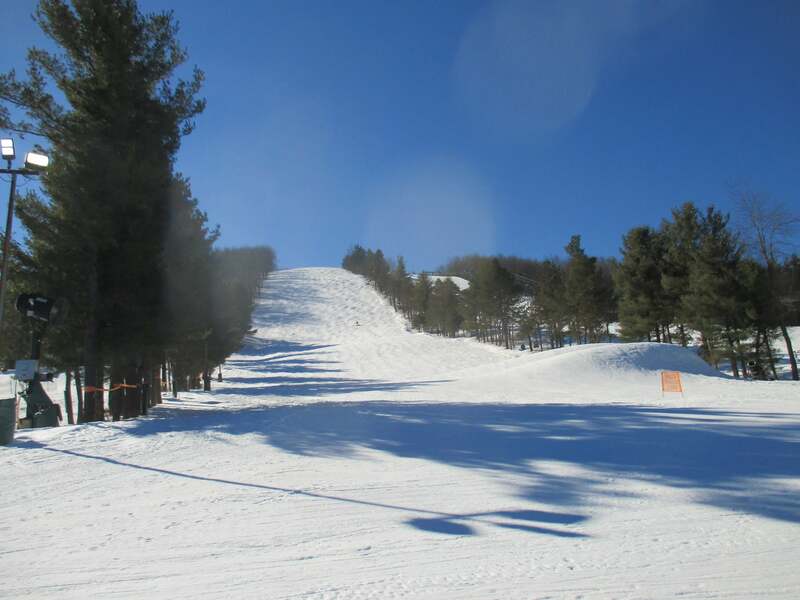 The Face is now entirely ungroomed, while Squirrel Cage is smooth and fast, wall to wall; although often bordered by massive snowmaking whales which offer some added fun. In addition to its steep grade, I think that Squirrel Cage has one of the best trail names ever. I know I lapped it again, and again, and again. Wisp’s longtime commitment and continued improvements to their snowmaking infrastructure means these front side marquis black diamonds are often the first to open in our region. I don’t have the appropriate skills for terrain parks, but I admire those who do and love local mountains who commit to it. There are some areas that pay the money and get the talent necessary to make a serious terrain park and many others that treat it almost as an afterthought. Wisp is in the serious category. 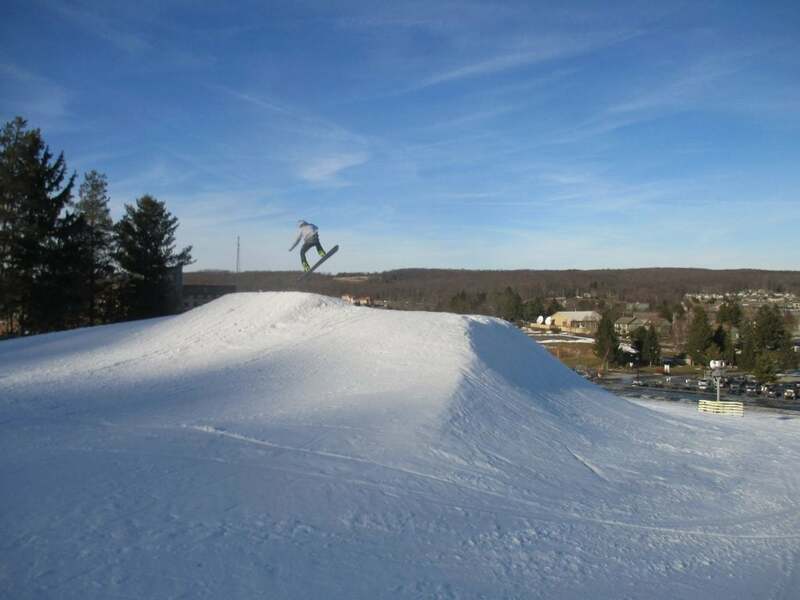 The features looked amazing and there is a surface lift dedicated to the advanced terrain park. It almost made me want to go and separate another shoulder. Before we leave the front side, let me speak about the trees. Skiing in trees is one of the greatest joys of our sport. It is becoming more and more precious because seasons with a sustained natural base are becoming rarer. 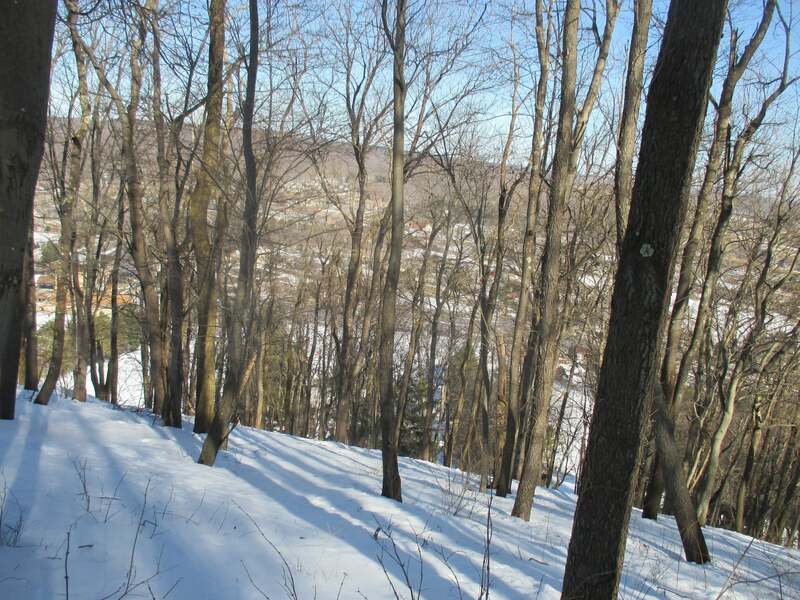 However, Wisp is within the blessed snow belt with storm flows from the Great Lakes that allow them to get enough natural coverage, at times, to allow bark lovers to hit the trees, well preferably to dodge them. That requires some tolerance on their part, a lot of resorts will not take that perceived risk. I love a wide powder run but I especially admire areas who will let me ski in the trees even in “low tide.” I had such a good time here beside the Face and can’t wait to return with more snow to ski the Northern Glades between Squirrel Cage and Wisp trail, where a lot of time and effort has been spent in recent off seasons clearing out stumps and debris; I like to think just for me. 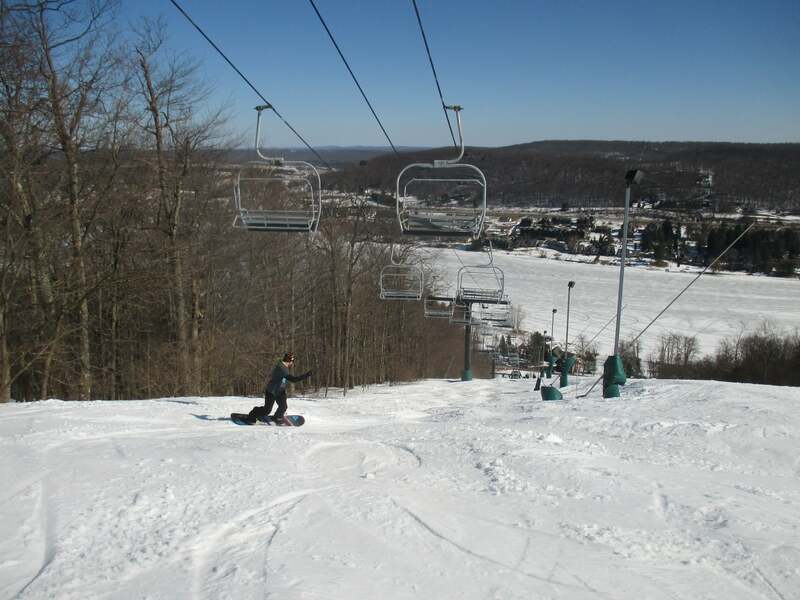 The Face and Squirrel Cage are Wisp’s premier advanced runs but on the right side of the mountain (right looking down) you have Chair #5 with Main Street and a series of blues and blacks branching off from it. 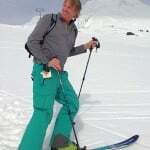 Getting to that side, by way of Down Under or Eye Opener, is a nice cruise on its own; another example of how the trails wrap around the mountain and how much variety they offer. I got such a kick following this group with their instructor to the west side. Children do love a tunnel, I love a tunnel too. Who doesn’t love a tunnel? Main Street under Chair 5, is the longest black and, excluding the trees, probably my favorite run on the mountain. DO NOT trust the appearance on the trail map, this is lengthy. On the front side, Squirrel Cage is groomed flat and fast; and the Face is left to natural forces. 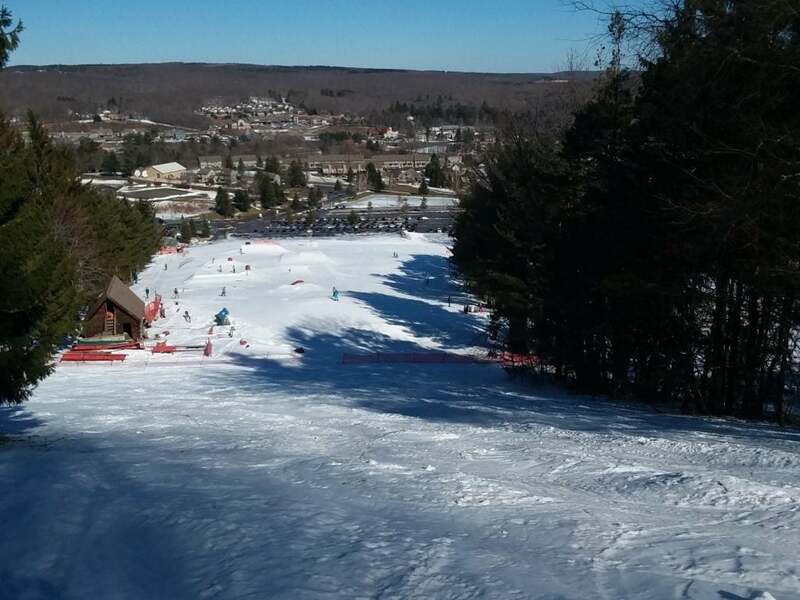 Main Street does both in one run; wide, steep and fast on the main run to skier’s right, but narrow steep and natural on the side that runs under the lift. I had a couple of lift conversations with the two patrollers telemarking in that picture, so characteristic of our region. 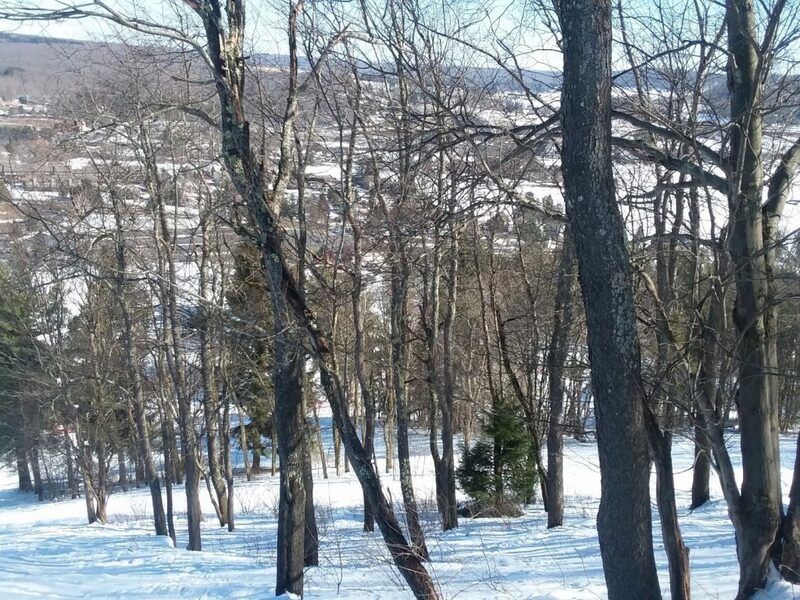 I had been in the Canaan valley the day before, skinning up on my alpine gear. The next day and an hour north at Wisp, as I was riding up with them, one of the guys asked, “Hey, were you at Whitegrass yesterday?” I happily admitted I was. He had seen me in the trees from another cross-country trail there, such a small and wonderful world. 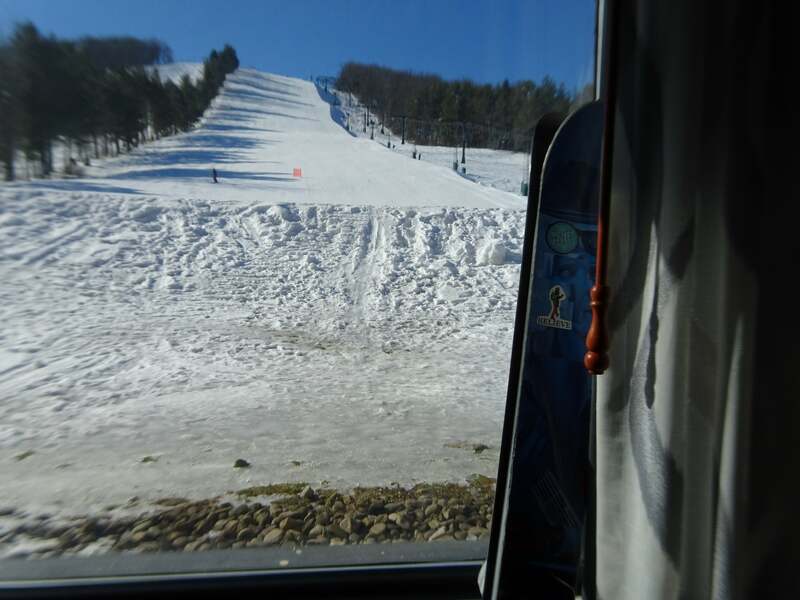 The accumulated rewards of two months of snowmaking as seen from my room in the Lodge. 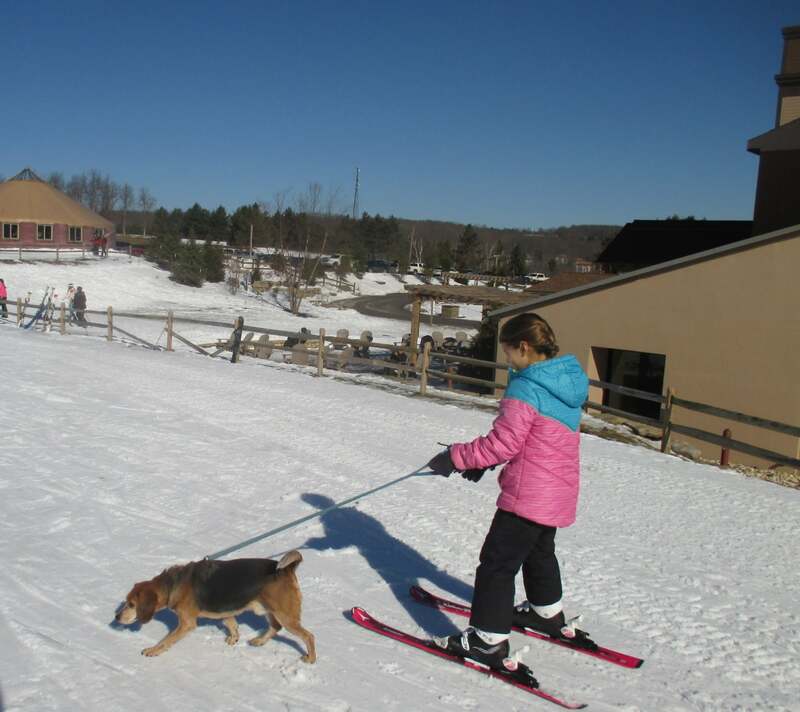 There are a lot of lodging options close to Wisp, thanks in part to the year-round popularity of Deep Creek Lake. 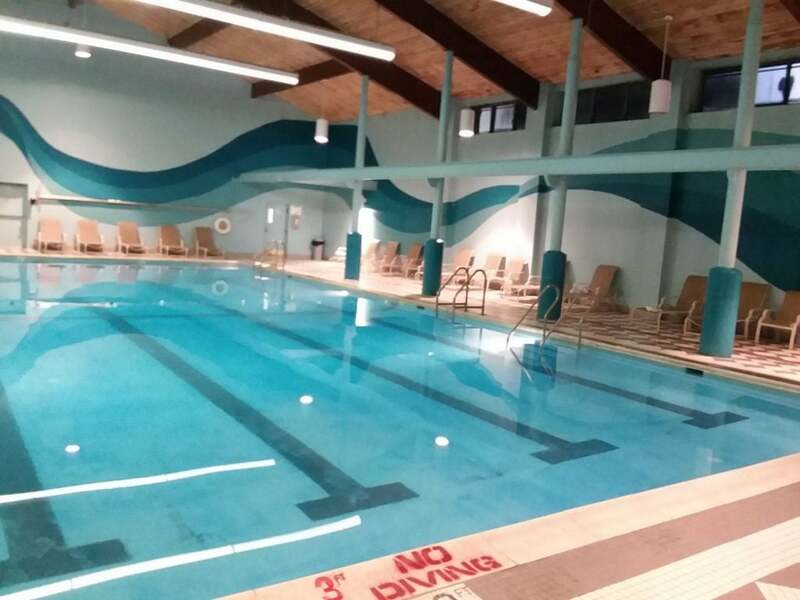 McHenry and nearby Oakland have everything you would expect in a resort area that stays busy twelve months a year. 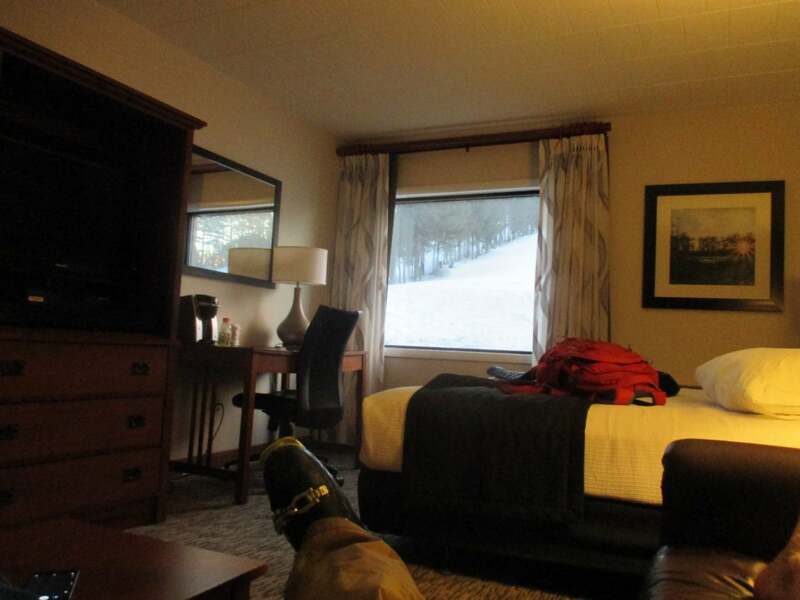 However, staying slopeside is always special and you can’t get closer than the rooms in the Lodge at Wisp. These are also connected to the main base facility and to various shops, bars, and restaurants there. Put up your boots and relax slope side.